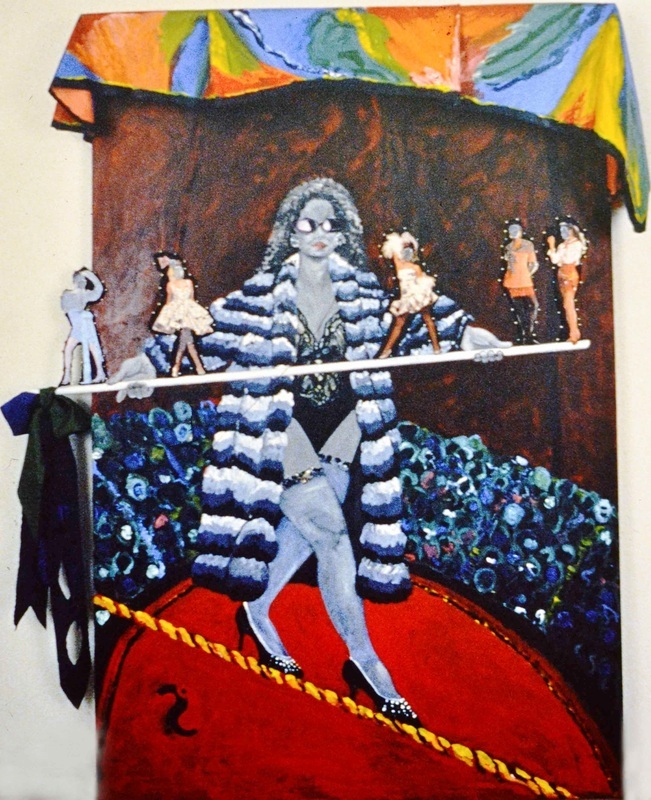 A true collaboration in every aspect of concept and execution between Phyllis Kirk and Bronna Fenichel, the Sensënomàké Circus series satirizes modern western values using the circus as a symbol, and black and white performers juxtaposed upon colourful and brilliant backgrounds. 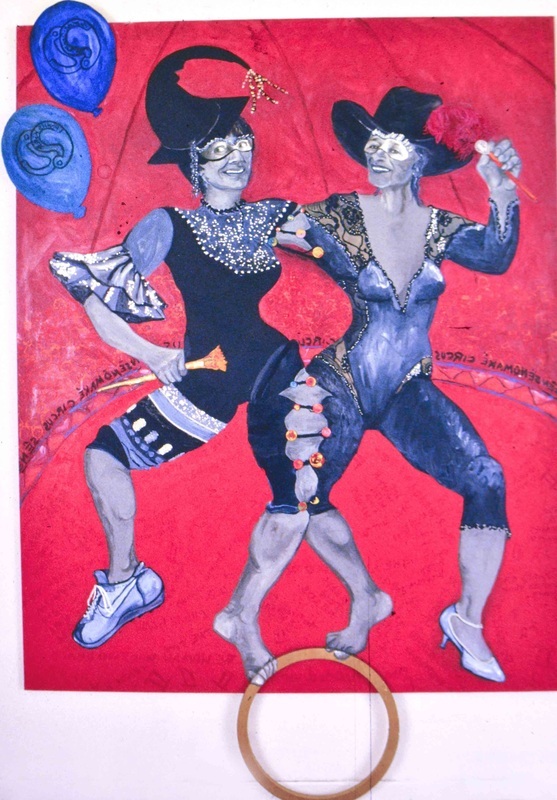 The addition of glitter further heightens the satirical expression. 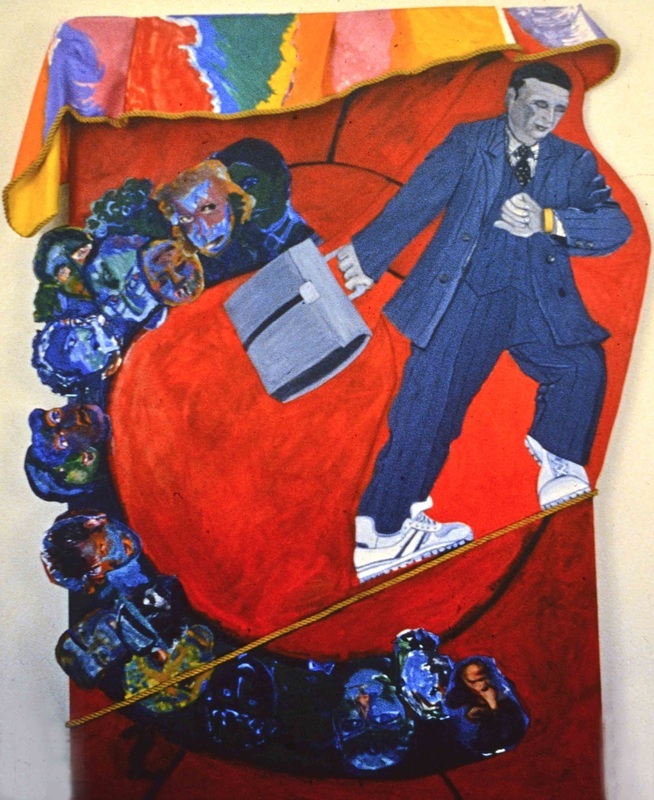 The unbounded energies of these worlds are best conveyed by expanding the works in every direction, from within the confines of the surfaces and edges of the canvases. 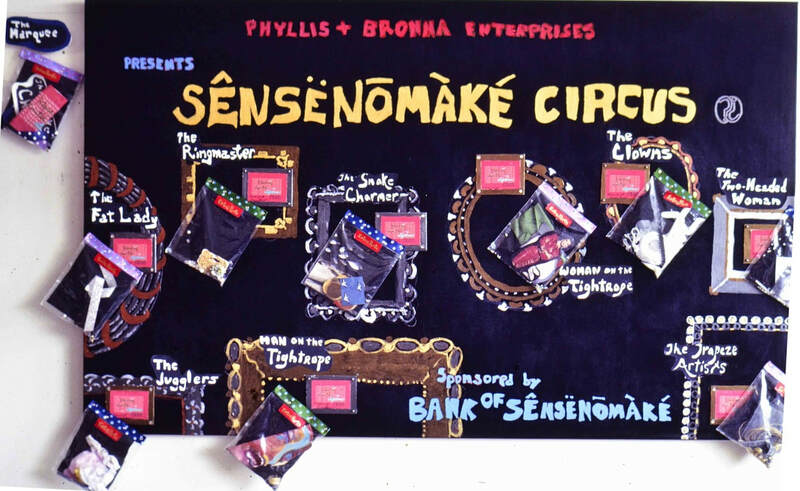 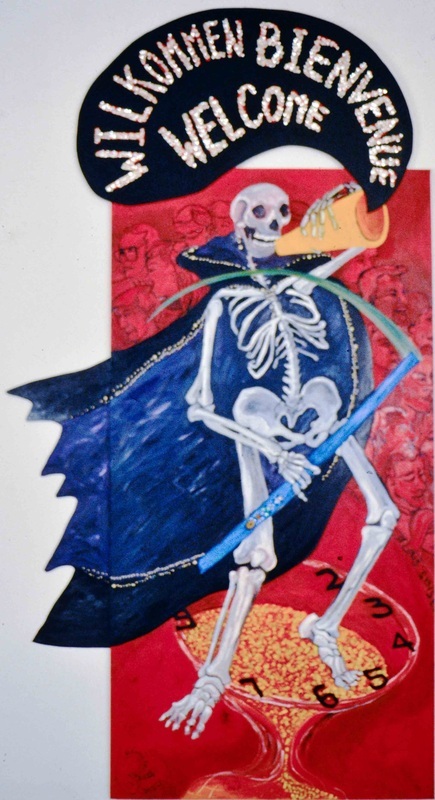 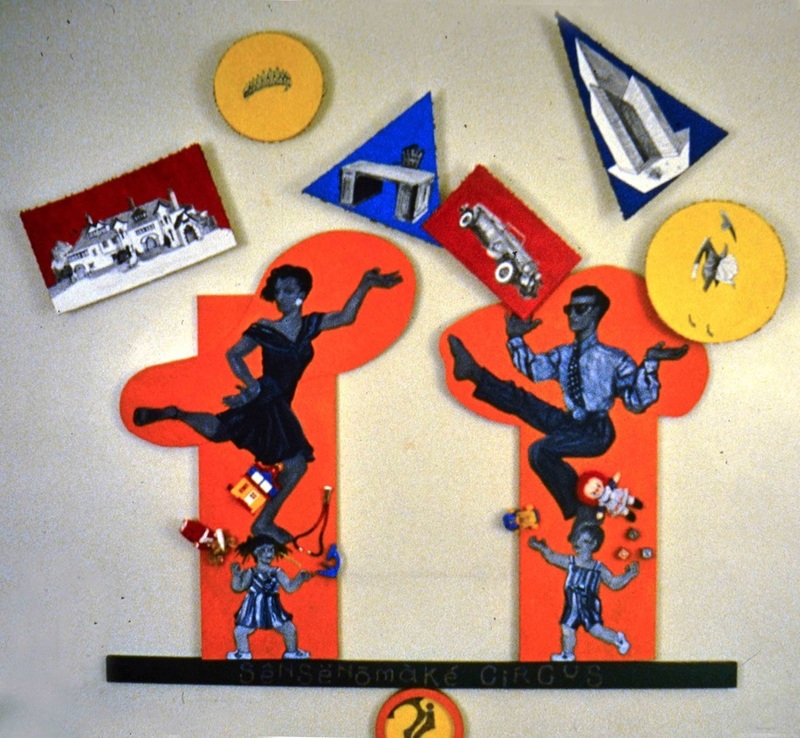 This collection of artwork is documented in a non-fiction book by Phyllis Kirk (2016) entitled Sensënomàké Circus: A Collaboration in Mixed Media. 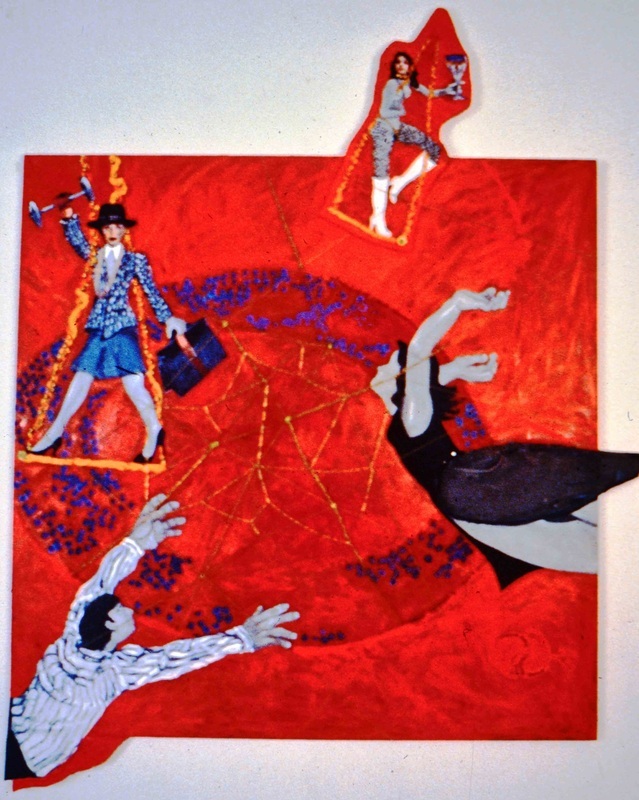 A chronicle of the artistic journey made by creative collaborators, as they create a series of works based on their very own "circus of the imagination!" 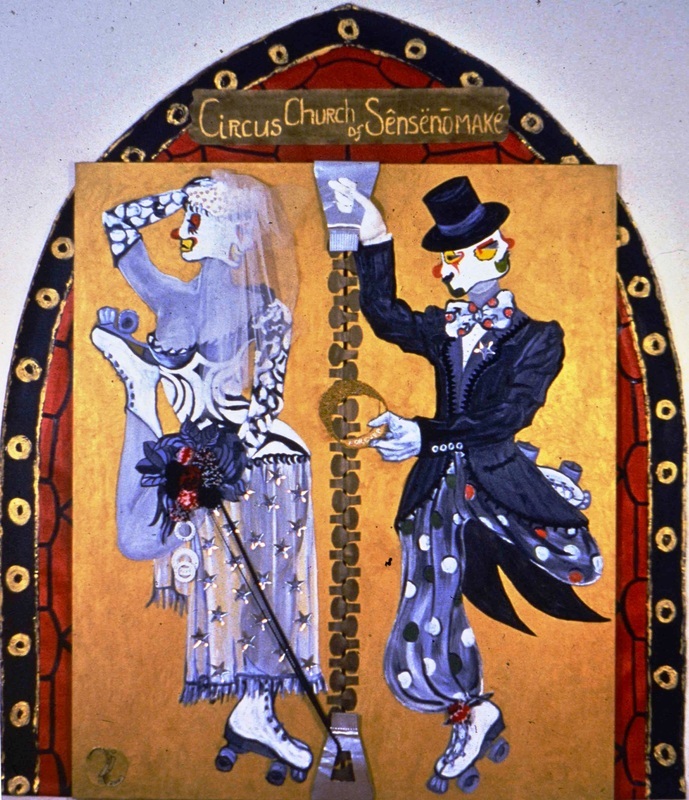 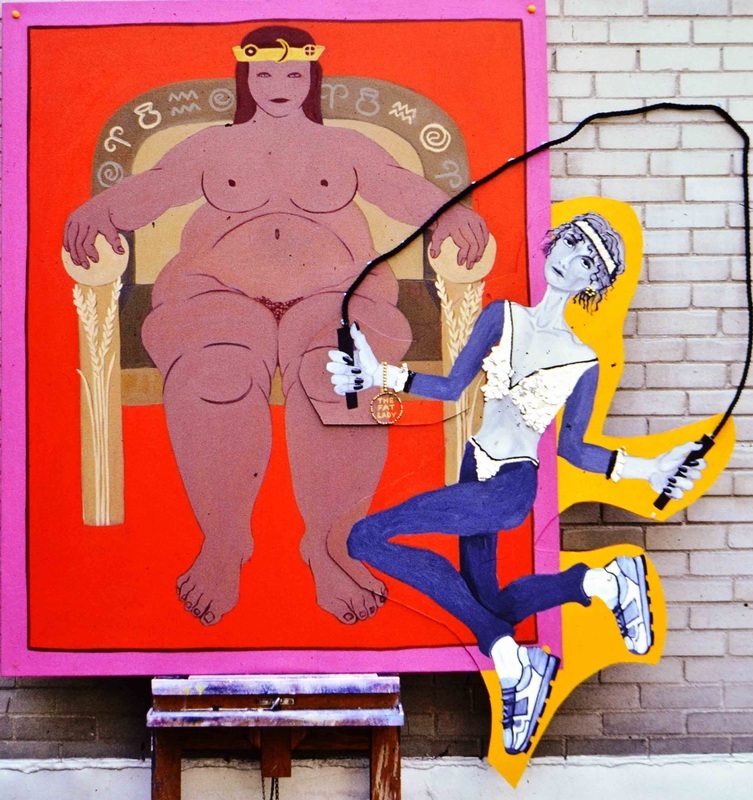 Familiar performers, elements and icons of the Circus are developed around inventive modern themes. 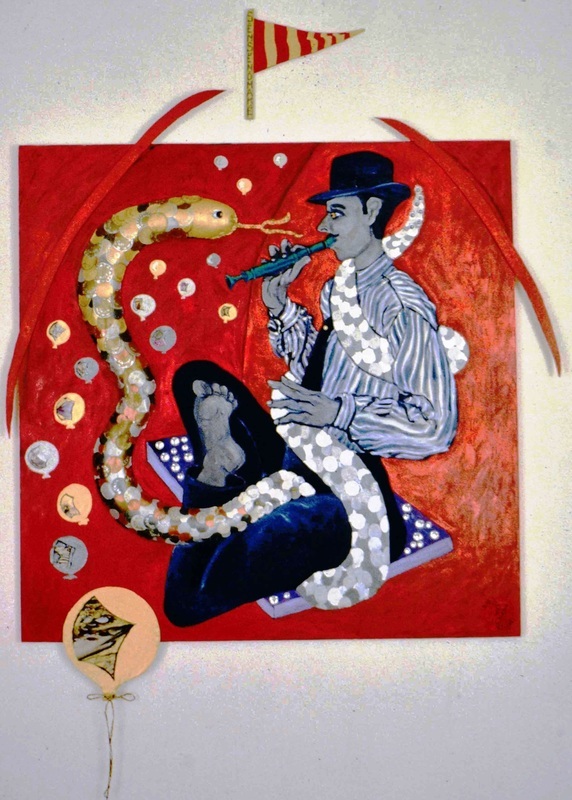 A beautiful volume priced at $14.95, with full-colour reproductions, poetry and prose by Phyllis Kirk.